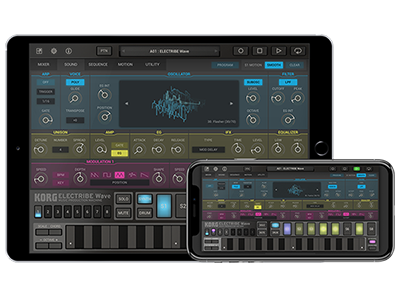 Recently, we released KORG ELECTRIBE Wave version 2, which adds support for user-sample import and other exciting features. This tutorial will explain both the basic usage of the app and the new features found in version 2. It will also cover some of the changes made in a recent, minor update. If you look at this you can quickly understand what you can do with KORG ELECTRIBE Wave. Let's take a closer look at how you can create state-of-the-art dance music using the powerful wavetable sound source. ・Added function to restore the app's state after closing and re-opening. Home News KORG ELECTRIBE Wave version 2 tutorial video now available!